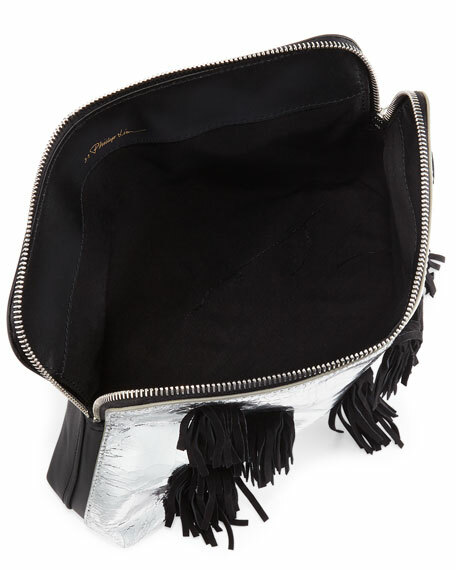 3.1 Philip Lim "31 Minute" metallic calf leather cosmetic bag with all-over leather tassels. 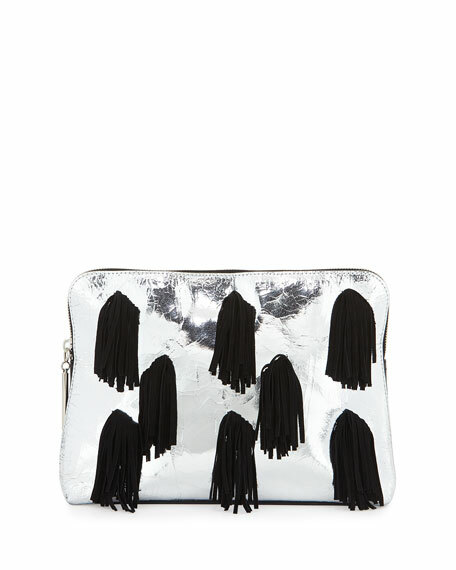 Double-zipper closure with custom "vial" pulls. 8.3"H x 11"W x 2.8"D.
For in-store inquiries, use sku #1618712.